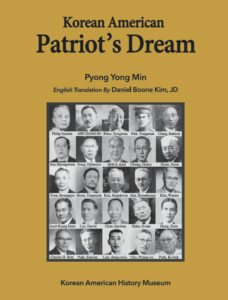 Park, Yong-man: He served the independence movement by raising youth troops on American soil. 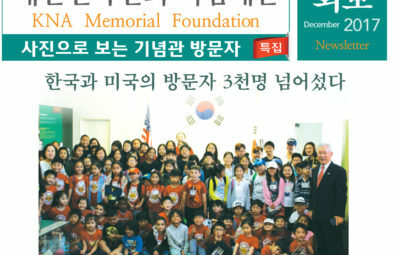 Park went to Japan in his teens and finished middle school there. 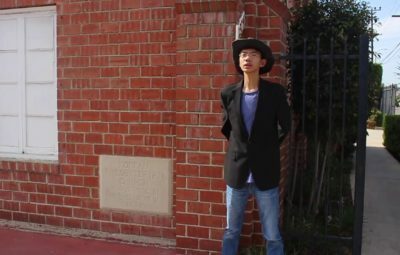 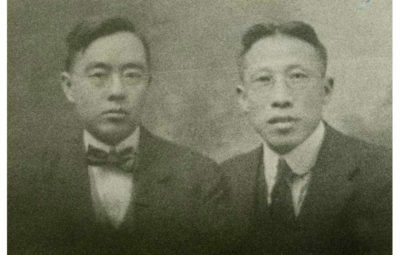 After he was imprisoned in connection with a political group and released to join brotherhood with Syngman Rhee. 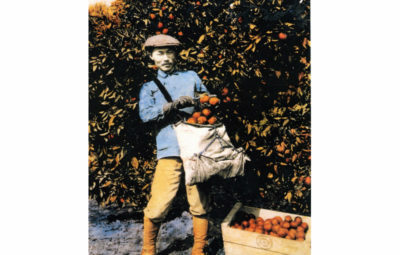 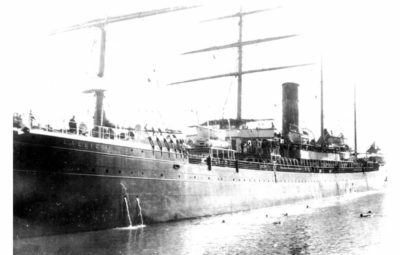 He arrived in San Francisco in 1905. 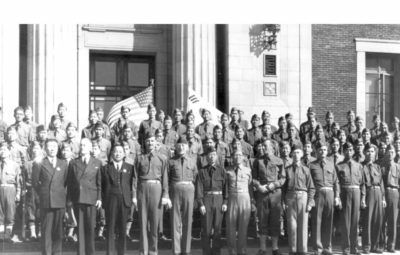 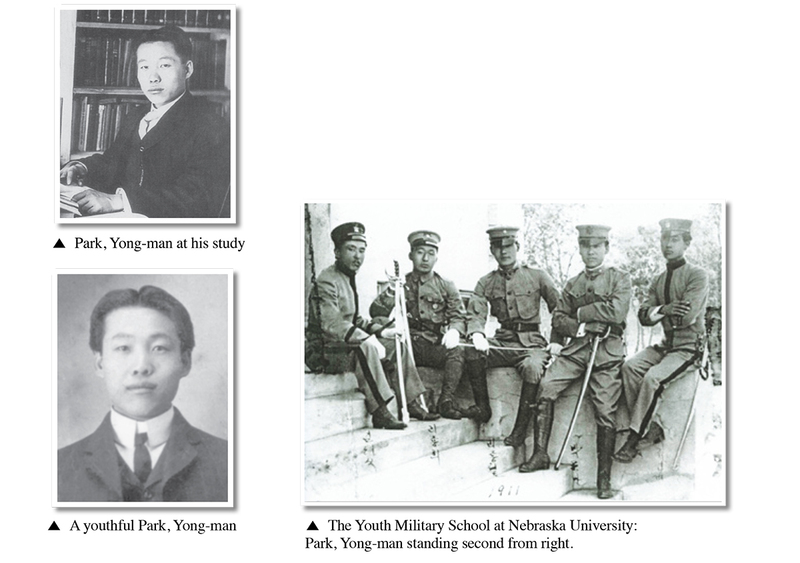 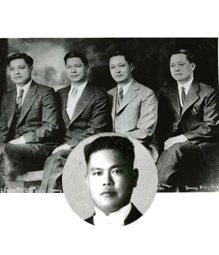 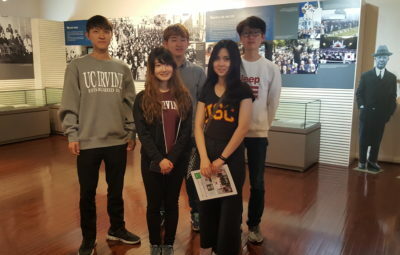 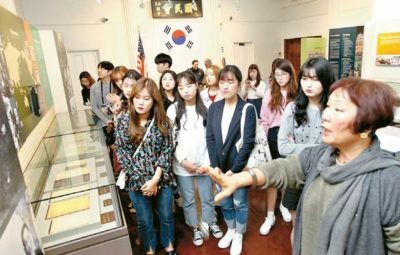 He traveled to Nebraska to finish senior high and college at Hastings for political science to set up the first military youth school for future Korean independence movement in 1909. 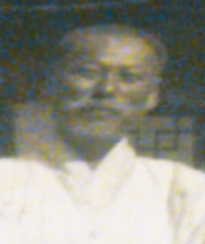 In 1911, he became an editor-in-chief for Shin Han Min-Bo advocating a theory of an intangible state. 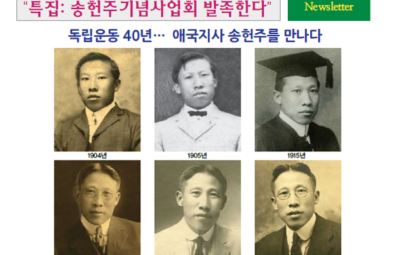 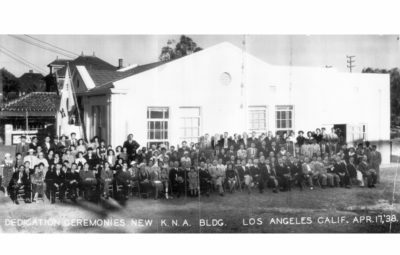 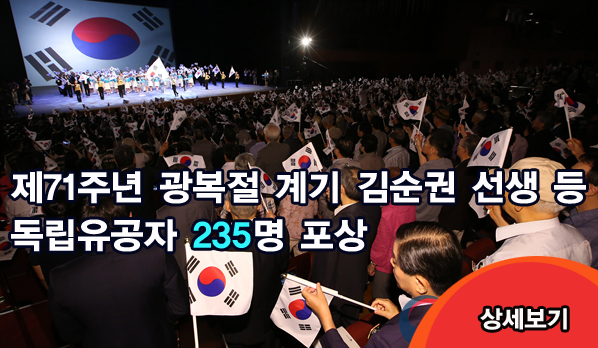 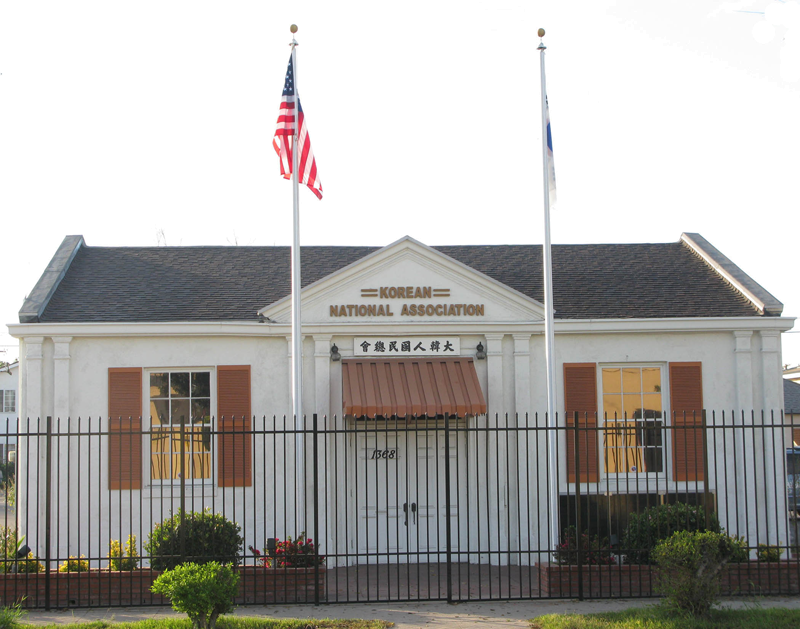 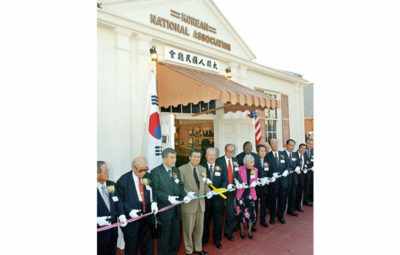 He created the Central Congress of Korean National Association in 1912. 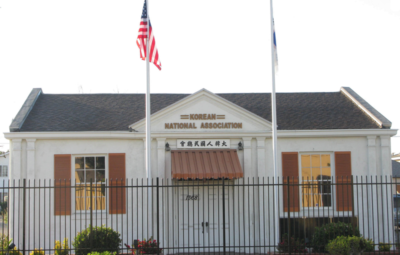 His relationship with Syngman Rhee began to split when Rhee spread a sinister ru- mor that Park is at- tempting to threaten world peace. 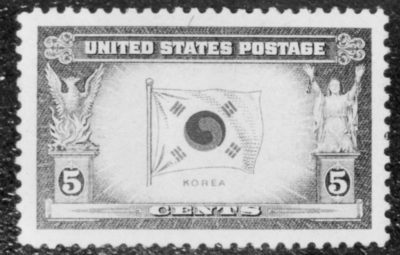 Park was tried in court as a spy by the United States. 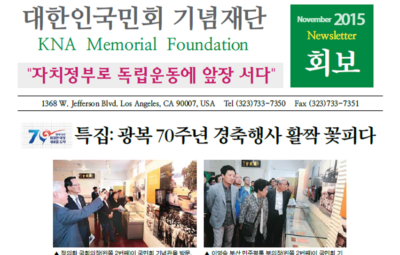 In 1919, Park translated the Declaration of Independence of 1919 and forwarded it to the Pacific Commercial Advertiser. 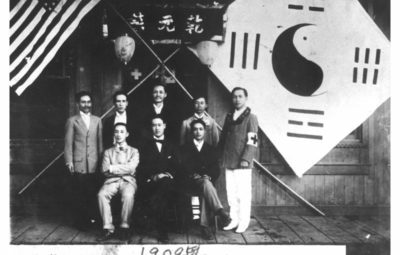 In the same year, he was elected as a Foreign Minister by the Provisional Government in Shanghai, yet he did not assume the post as he did not agree with their policy line. 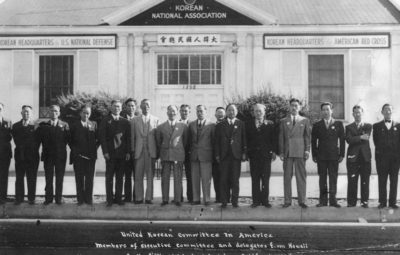 Granted, a progressive Park, along with Syngman Rhee and Dosan Ahn Chang Ho, ignited a national flame for the Korean independence movement. 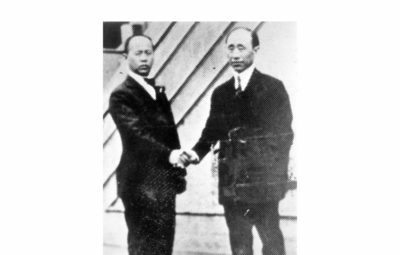 Unfortunately, however, Park was sadly garbled as a snitch for Japan in the Korean community in China and independence movement circle. 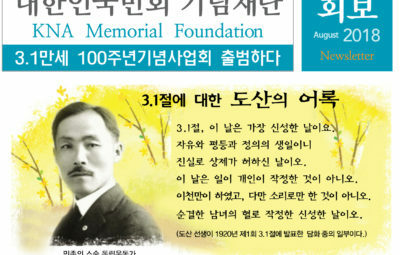 In 1928, he was assassinated in China by another Korean Lee, Hae- byung before Korea’s liberation. 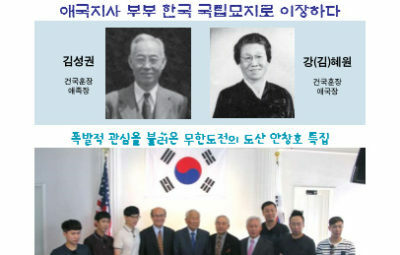 In 1995, the South Korean government posthumously recognized him with the Order of Merit of National Foundation / Presidential Award for his dedication and sacrificial contribution to the Korean independence movement.